Perfect for the bear lover in your life. 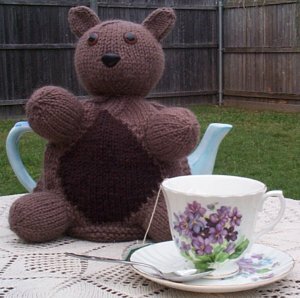 This cuddly fellow is knitted with very simple shapings. Add a great big holiday bow for the final touch!